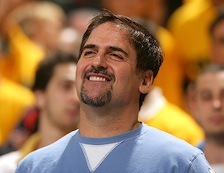 As you prepare to enjoy not working on Labor Day, make a resolution to attend the seventh in a series of live Uncle Barky Shows, this one featuring guest Mark Cuban. We'll talk about his many and various TV adventures and likely slip in a sports question or two. There'll also be a followup Q&A with the audience. Best of all, our host restaurant, Stratos Greek Taverna, will donate $1,000 to Mark's designated charity. That'll bring the grand total to $5,500, which frankly is pretty amazing. Admission is free as always, with plenty of very tasty food and drink available for purchase. So support your local unclebarky.com and another very worthy charity by making this scene and spreading the word. Show time is 4 p.m. on Saturday, Sept. 13th. And Stratos is located on 2907 West Northwest Highway. Click on the above banner ad for further information on Stratos. Hope to see you there! Tina Fey/Sarah Palin. Sarah Palin/Tina Fey. Resemblance methinks. The afterglow had barely settled on Barack Obama's Thursday night spectacular from Invesco Field when presumed Republican nominee John McCain dropped a big bombshell Friday morning. 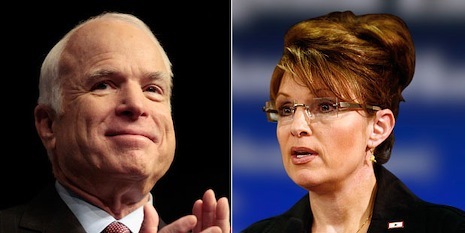 McCain's out-of-nowhere pick of 44-year-old Alaska governor Sarah Palin as his running mate ranked as the best-kept political secret of modern times until NBC's Kelly O'Donnell was credited with breaking the story seconds or minutes before rival networks chimed in. "She is out of the box to say the least," ABC anchor Charles Gibson said in a news bulletin. "This is a big, bold choice," added analyst and This Week moderator George Stephanopoulos. "Of course there's a risk. And I think John McCain assessed that risk," Texas Sen. Kay Bailey Hutchison said on MSNBC. 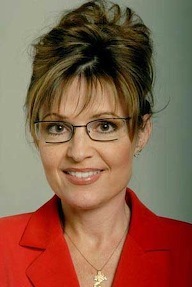 President Bush's former maestro, Karl Rove, termed Palin "a gun-totin', hockey-playin' woman." "I think this is brilliant," he said on Fox News Channel. A year after parting ways with CBS11, controversial former news director Regent Ducas has returned to North Texas in a teaching capacity. Ducas will be an adjunct instructor this semester at the University of Texas at Arlington, Department of Communication chair Charla L. Markham Shaw confirmed in an email Thursday. He'll be teaching a broadcast course titled "Current Issues," said Shaw, who is aware of Ducas' previous situation at CBS11. Ducas, who is going by his given first name of Rejean on the UTA web site, did not return an earlier email asking for comment. His five-month tenure at CBS11, which ended on Aug. 31st of last year, was marked by newsroom turmoil and resistance to his stated "run and gun" approach. The ratings also took a dip, and former CBS11 anchor Tracy Rowlett called Ducas the "worst news director" he'd ever encountered. It went better for Ducas at Kansas City's KCTV-5, where his fast-paced crime and tragedy strategy helped take the station to the top of the Nielsen ratings during his five-year reign. But he also sustained a wealth of public criticism and has been targeted by lawsuits from former station employees. Ducas joined CBS11 in March of last year and was in short order replaced by Scott Diener, who had been his assistant news director. Post-CBS11, Ducas joined WLNE-TV in Providence, R.I. as an interim news director hired to help improve the station's newscast ratings for last November's "sweeps" period. He remained at the station until mid-April, spending his final months there helping to re-launch WLNE's web site. 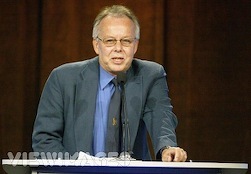 Stephen Doerr, WLNE's general manager, spoke well of Ducas in earlier comments to unclebarky.com. "I know he had a difficult time in D-FW, but he provided a lot of energy, passion and focus when we really needed it here," Doerr said. "Great leadership and very well-liked by the staff." Larry Mowry will be taking more temperatures at CBS11 as part of a new alignment that also makes Jeff Jamison the full-time early morning weathercaster while Kristine Kahanek downshifts to 4 p.m. and becomes Mowry's main backup. 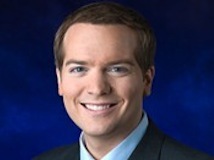 Mowry, who joined the station in January from WKMG-TV in Orlando, FL, began as the 10 p.m. meteorologist and now will add the 5 and 6 p.m. weekday weathercasts to his workload. "In the short time Larry has been here, he has demonstrated the ability to be on top of severe weather no matter what time of day it is happening," news director Scott Diener said in a memo to staffers Tuesday night. "Our competition has had to react to his aggressive weather coverage on many occasions." Jamison, a five-year veteran of CBS11, officially will replace Julia Bologna, who recently left to rejoin WPXI-TV in her hometown of Pittsburgh. "Jeff has done an outstanding job as the 'utility' player for us," said Diener, who praised his "incredible work ethic." Kristine Kahanek has a new children's book coming out Sept. 1st. 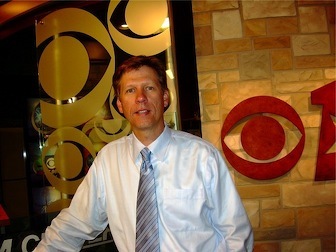 Kahanek joined CBS11 in 2002 as the station's chief meteorologist after four years at WFAA8. Diener said that her further diminished duties at CBS11 "will allow her to spend more time at much-requested public and school appearances and to work on publicizing a project dear to her heart." 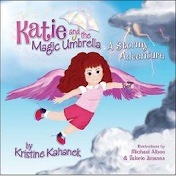 That project is Katie and the Magic Umbrella: A Stormy Adventure, a 44-page hardcover book aimed at educating children 4 to 9 years old about weather safety. Its publication date is Sept. 1st. "The station is very supportive of this project," Diener said in the memo. Veteran Mike Burger will remain as weekend meteorologist on CBS11 and sister station TXA21, with the CBS11 Saturday morning show added on. 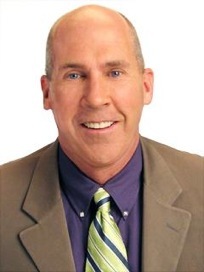 Garry Seith is still TXA21's 7 to 9 p.m. weekday weathercaster. Your right to know or their right to shut you out? Veteran WFAA8 anchor Macie Jepson is the latest in a long line of recent departures from the D-FW television news scene. It wasn't her choice, though. So does station management have an obligation to tell viewers more about why she was cut loose? A new "Picky Picky" tries to be fair to both sides, even if that's increasingly a no-no in the snark-infested blogosphere. The layoff virus infected WFAA8 Thursday, with 5 p.m. co-anchor Macie Jepson the only on-camera casualty. All told, 14 positions were eliminated. But reliable station sources confirmed that 10 of those positions had been vacant and now won't be filled. Another three were part-time, off-camera positions, leaving Jepson as the lone full-time employee dismissed at a station that dominated the May "sweeps" ratings with first place finishes for its four principal local newscasts at 6 a.m. and at 5, 6 and 10 p.m.
"This is a reflection of very difficult economic times, and we have endeavored to minimize the impact on people," WFAA8 president and general manager Mike Devlin said in a telephone interview Thursday. He declined further comment. 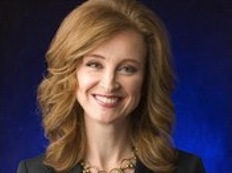 Jepson, who could not immediately be reached for comment, joined WFAA8 in 2000 after hosting her own talk show in Cleveland. The Shreveport, LA. native and Louisiana Tech University graduate is married with two children. Anchor Gloria Campos will fill-in for Jepson on Thursday's 5 p.m. newscast, with no decision made yet on who will be her full-time replacement, sources said. The WFAA8 layoffs, announced in a staff meeting, came the day after D-day for employees of The Dallas Morning News, who had to decide Wednesday whether to accept the paper's latest buyout offer or risk being laid off if there aren't enough takers to suit management. Both companies are owned by Belo Corp.
Chip Waggoner, last of D-FW television's featured airborne traffic reporters, has been grounded by the high costs of sky patrolling. Also, NBC's Michael Phelps-fueled Olympics coverage gives it a record-setting week in the national Nielsen ratings. The latest Olympics-dominated D-FW numbers are ready for your inspection. 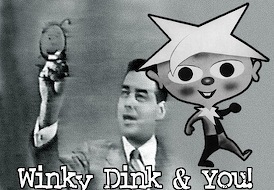 And a new Uncle Barky Webcast is up and running, this one taking a trip through the bizarre world of early morning kiddie TV. Have a look here. Road trip's over and fingers are re-meeting keys at unclebarky.com. central. The latest D-FW Nielsen ratings show that NBC5's early evening newscasts are still getting a big goose from the Peacock's following Olympic-casts. Meanwhile, we've got a big helping of TV odds and ends on the Bulletin Board page and video of Ernest Borgnine's hands-on secret to staying young during his recent appearance on Fox & Friends. Also, look out below for a few homegrown pictures from Chicago, where father, son and daughter gathered to spy on her new hometown. 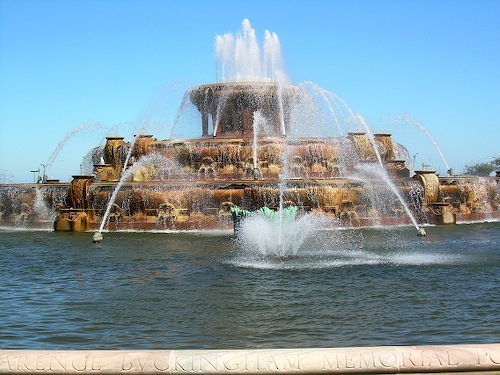 Chicago's Clarence Buckingham Memorial Fountain co-starred in the opening of every Married . . . With Children episode, with Frank Sinatra's "Love and Marriage" making their world further go 'round. 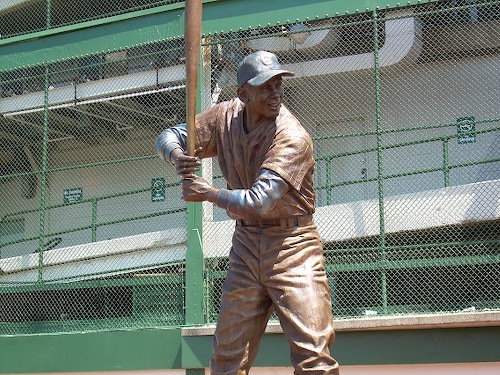 His majesty, Ernie Banks, strikes a pose outside Wrigley Field. 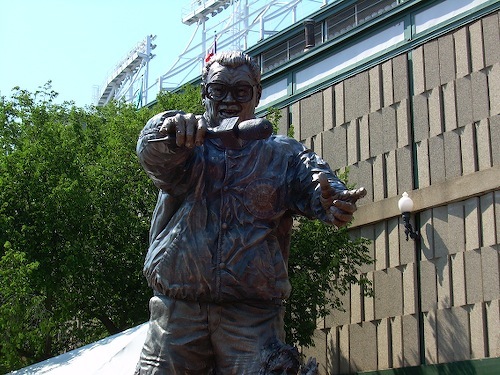 The late and vociferous Harry Caray remains the Cubs' den leader. Let's play two: Uncle Barky still the proud papa bear of Liz & Sam. Your friendly content provider will be taking a recuperative road trip for the rest of this week before a planned return next Tuesday. So unclebarky.com will be at rest until then, with no new posts until at least Aug. 19th. We've left the latest D-FW ratings behind, though, as well as a new Top 10 list of TV's all-time biggest flops. I'd also like to introduce you to my son Sam's t-shirt business. He's hand-designing his own line and then screen-printing them in Austin as a way to help work his way through a final semester at Texas State University. Um, the old man's still taking care of the tuition. Sam says that all of his shirts are printed with environmentally friendly, water-based inks on made-in-the-USA 100% organic cotton. Below are some of his featured shirts, which of course are available for purchase. Pretty impressive, huh? See you soon and please continue to patronize unclebarky.com's other advertisers during this brief respite. ABC's World News will originate from Dallas on Wed., Aug. 13th after a two-night stay in early March that was tied to the Texas presidential primary. Anchor Charles Gibson, who recently extended his contract with the network, plans to do an exclusive interview with ExxonMobil chairman and CEO Rex Tillerson. The Tillerson one-on-one is part of a three-day "Oil Crunch" series running on World News from Monday through Wednesday of this week. Here they go again. Fresh from deadly appearances last spring on WWE's Monday Night Raw, presidential hopefuls Barack Obama and John McCain have taped "funny campaign ads" (in NBC's view) for Thursday's season finale of Last Comic Standing (7 to 8:30 p.m. central). Obama at least seems semi-embarrassed after mouthing, "If you don't think I'm funny, you've obviously never seen me bowl." McCain again comes off as Henny Youngman after a sledge-hammer pounding. "Unfunny presidents only serve one term, if they win an election at all," he says with all due stiffness. Both candidates stand at lecterns emblazoned with the Last Comic Standing logo. Anyway, see for yourself just how high-larious these guys can be in pursuit of the most powerful office in the world during times of serious toil and trouble both at home and abroad. Rim shot, please. Suspended in late June for undisclosed reasons, veteran Fox4 medical reporter John Hammarley is now completely out of the picture. "He's no longer with the station," Fox4 news director Maria Barrs confirmed Monday afternoon. She declined to comment further. Hammarley's picture and accompanying biography already have been removed from the myfoxdfw.com Web site. He did not return a phone message requesting comment, but did send an email early Monday evening. "I appreciate the job you do, but I hope you can respect my decision not to share my feelings of loss during this incredibly painful time," Hammarley said. Hammarley spent 12 years at Fox4 before abruptly being put on suspension just over one month ago. In a brief telephone interview on June 30th, Hammarley said, "All I can say is that I'm still at the station. I'm employed by Fox4 and I don't know any different." In a one-liner written for his now inoperative station bio, Hammarley had quipped, "If I don't do something stupid, like ending my report with 'slam-alam-a-ding-dong,' I think my bosses want me to stick around a little while longer." Clearly his alleged infraction was deemed much more serious than that. 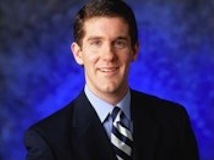 Hammarley is the second Fox4 reporter to be suspended and later terminated in the past 10 months. The station's Rebecca Aguilar had a much longer suspension, dating from last October until her termination in March. The economy remains deeply wounded and another round of job cuts will further decimate The Dallas Morning News this fall. So what better time for the paper to coo over the hot summer escape haunts of North Texans with money to burn? Did your blood boil, too? Consumer alert: the second Uncle Barky Webcast is up and running on a computer near you. As promised, we return to the Colleyville kitchen of former NBC5 meteorologist Rebecca Miller for a second baking seminar. This time she displays and frosts some of her gourmet dog treats before her own canines happily sample the cuisine. The webcasts are produced by Texas radio Hall of Famer John Rody (of KZEW-FM's "The Morning Zoo" fame), whose webcastingnetworks.com operates out of Irving, TX. 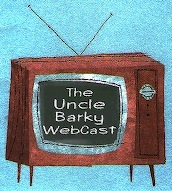 This latest Uncle Barky Webcast runs a bit under nine minutes, which will be more typical of the length. Note to self: curb involuntary shoulder shrug, tamp down the hand-talking and let a smile be your umbrella. Otherwise, we hope you enjoy the content and the concept. We've taped five of 'em so far, and many thanks to John for stitching it all together.